People like enjoying water activities when the hot summer days come, as it is a good way to cool down yourself and to hang out with your friends all the day. You can have a fun on the water in many different ways, however, if you really want to enjoy you should try out some of the inflatable water products. 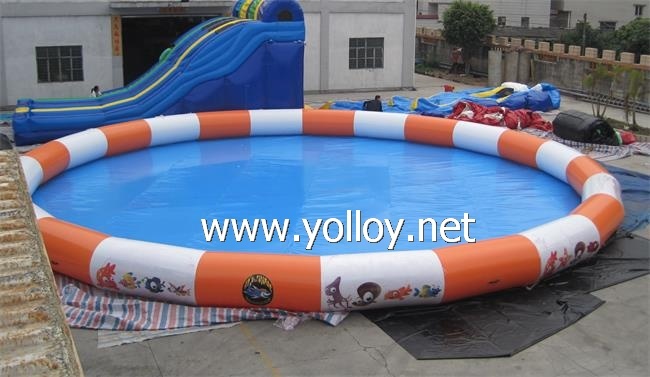 In Yolloy online shop, you can find the water inflatable items of all sorts, so the choice is really big. We sell a wide range of different water stuff, but the following 10 are the most popular these days. You can see all of these toys right here: http://www.yolloy.net/Inflatable-Water-Park-Toys/. This is the biggest inflatable water product in our store. 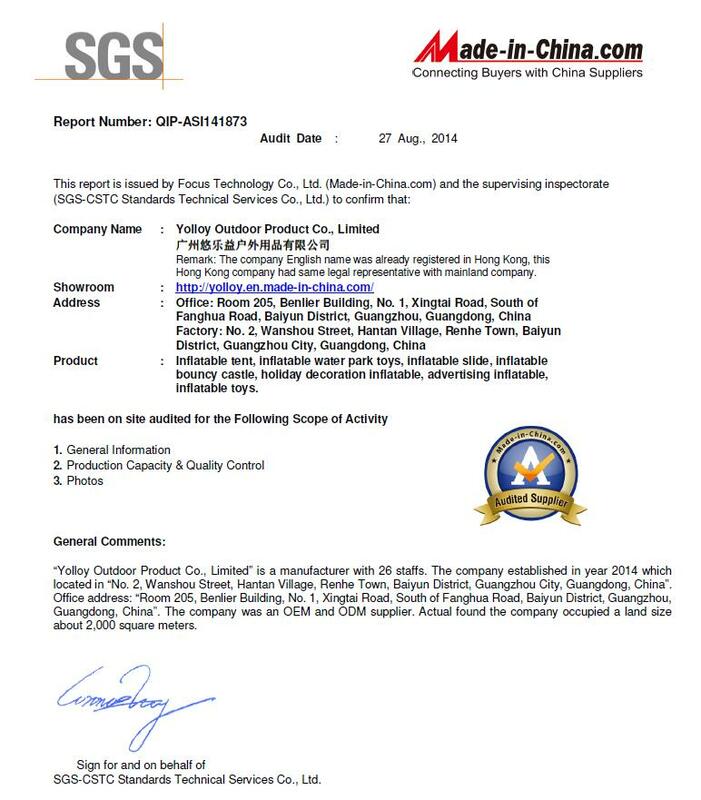 It is mainly intended for the large water areas to serve as an amusement floating park. There is a plenty of space, so more than 50 people can use it at once, since the size is 40m x 32m x 3m. This amazing park consists of various inflatable items, toys, and obstacles alike. Another big water toy from our store is the inflatable water park. The size is 20 x 20 m or customized according to clients' needs. There are 3 inflatable slides as well as one big swimming pool. Also, you can add other toys inside the pool if you like. If you like climbing games, this iceberg is right for you. Using this inflatable toy, you can practice and improve your climbing skills. In fact, this is a big inflatable ball with a ring around it where the kids stand. The goal of this game is to keep your balance and bounce the opponents in the water. It is made of PVC tarp and comes in blue and yellow color. This amazing slide is produced of high-quality fabric (0.9mm PVC tarpaulin) and it comes with the best price. It is a great source of fun for the kids! It allows you to spend hours on sliding, climbing and jumping. This is a 2-meter blue-yellow inflatable water toy that is widely used for the water games, holiday events, in playing center, amusement park, and so on. You can use it both in a swimming pool and at a seashore spot. While moving inside this roller it rotates and rolls on a water surface. Crazy experience!!! These balls have the same purpose like the rollers, but they have a spherical shape. The standard dimensions are 2 mL x 2 mW x 2 mH, and they are available in different colors. However, all these balls are transparent. Among others, we also sell a few water inflatable sports such as water floating inflatable volleyball court and inflatable water basketball court. 9. Inflatable water totters Water totters are very popular these days. We have several high-quality inflatable totters that are good for both adults and kids. 10. Outdoor inflatable swimming pools In addition to the water toys, you can also find in Yolloy store many beautiful swimming pools. They are available in different sizes, shapes and colors.